These three notebooks are filled with a grid pattern perfect for bullet journaling or just your basic doodle. We get these from a fun vendor called Easy Tiger. 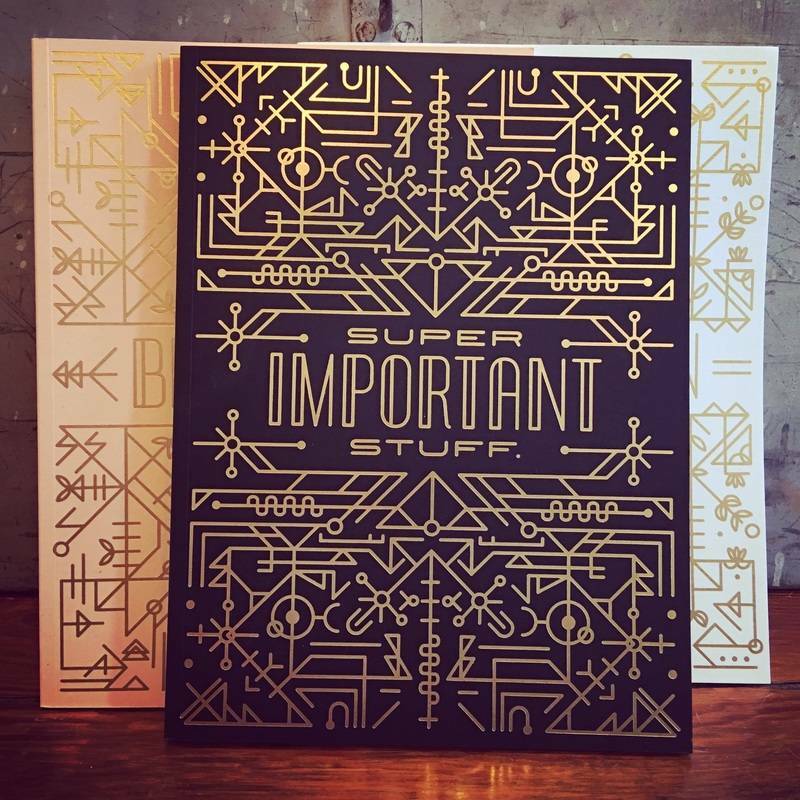 The covers on these notebooks are made of heavy, quality paper and are etched with beautiful gold leaf designs. Hope to see you soon!